The raw materials involved in the production of methacrylic dispersions and related composite kitchen sinks, are limited in term of quantity to: organic resin, mineral filler and various chemicals. 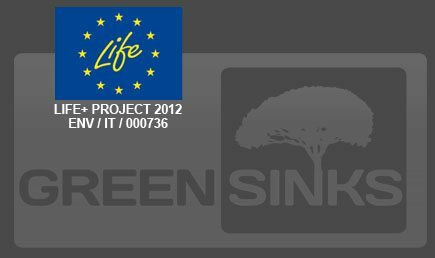 The production of kitchen sinks currently does not use recycled materials. The innovative idea of the Delta aims instead to the production of a new line called GREEN that completely replace the raw material with recycled raw materials. The recovery will be of two types, the first deriving from the scrap of sinks or the second from the recovery of raw materials of other industrial productions. This will lead to a significant reduction in the consumption of virgin raw materials in favor of an increase in the consumption of raw material recovery. 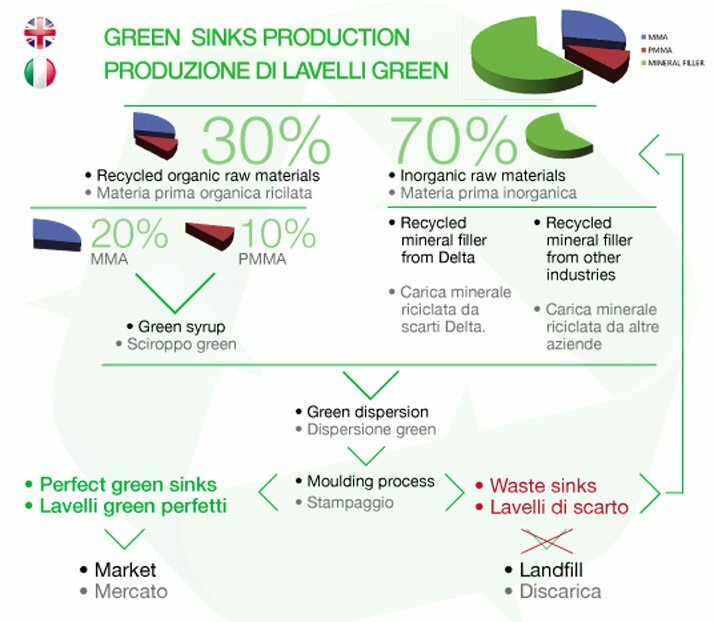 This will involve a number of benefits for the conservation of the environment, due to the reduction of the material sent for landfill, to lower energy consumption, the creation of a new line of sinks GREEN that will meet the needs of customers more and more attentive to the needs of environment.